leads us to the stars. Tickets are almost sold out! 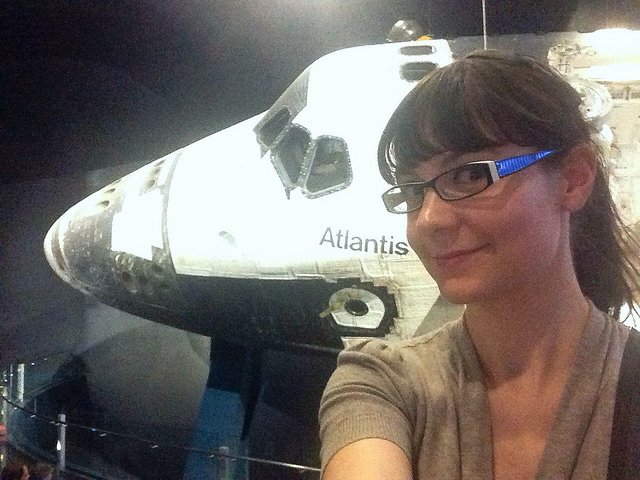 Ariel Waldman has developed a unique career from her enthusiasm for space exploration and her passion to get more people participating in science on Earth and beyond. Waldman founded Spacehack.org to help anyone with Internet access find space research efforts in need of crowdsourced assistance. Some like SETI@home would like to borrow cycles from your home computer when you’re not using it. Your processing power can help crunch small pieces of big data. And who knows what you might help discover. Some Spacehack-linked projects need human eyes to evaluate out-of-this-world images like M83 which quickly gets amateurs up to speed estimating the age of star clusters and classifying them. Others projects need things like writing or coding help. 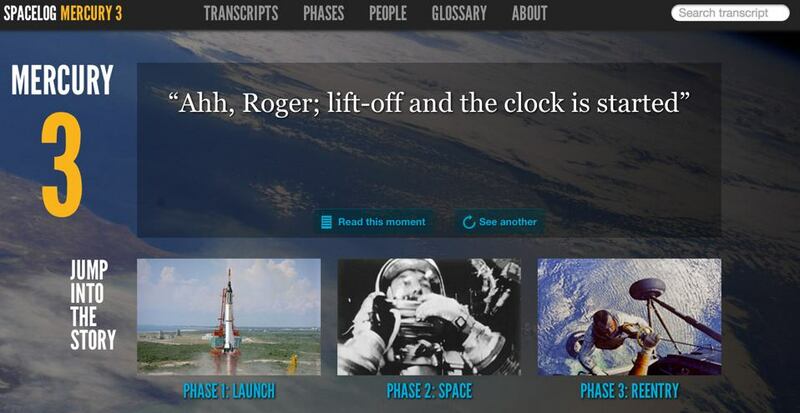 Then there’s Spacelog which asks contributors to review transcripts of past NASA missions. Reading vintage dialogue between astronauts and Mission Control, then helping to share it with the world–it’s any space geek’s dream. Spacehack helps thousands of all ages to learn about and participate in space science. While Science Hack Days, which Ariel helps facilitate around the world, enable the scientifically curious to create fun and productive collaborative projects over the course of a couple days. Both Spacehack and Science Hack Days are inclusive, enabling both experts and those without advanced scientific education to participate. This work led to Ariel being awarded an accommodation from The White House as a Citizen Scientist. [Undertake] a study to review the long-term goals, core capabilities, and direction of the U.S. human spaceflight program and make recommendations to enable a sustainable U.S. human spaceflight program. Their work is now complete and the final 286-page report is free to download. It’s called Pathways to Exploration: Rationales and Approaches for a U.S. Program of Human Space Exploration. At The Interval on Tuesday, September 30th, Ariel will talk about the committee, the report, and all the work she has done bringing space and science to the people of Earth. We hope you can join us; there are only a few tickets left! Long Now’s salon talk events happen on Tuesday nights at The Interval, our bar / cafe / museum at Fort Mason Center in San Francisco. Tickets just went on sale for another talk about Humanity’s relationship to the deep ocean. Interval donors hear about our events first. There’s still time to become a charter donor. See the full list of upcoming talks here. Note to Leibnitz and Newton… Archimedes beat you both.